Quinns: Forget the new game announcements from famous designers! 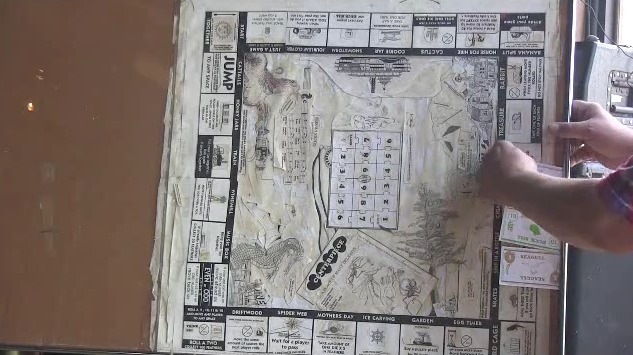 Let’s start with the big news, which is, of course, GAME BOARD. The last-ever episode of excellent UK sitcom The IT Crowd aired on Friday, and you can watch it online right here. 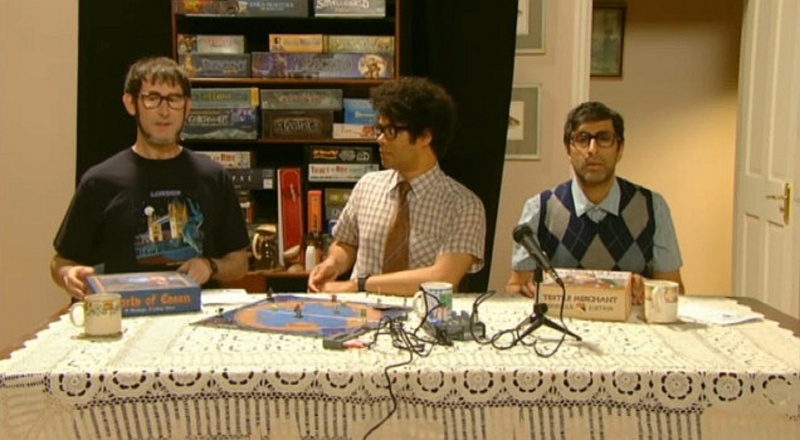 It was a brilliant double-length special, but much more importantly, it featured a scene making fun of online board game review shows. It’s the best thing we’ve seen all month, and not just because we’ve heard from the writer himself that he likes Shut Up & Sit Down, and is explicitly not making fun of us. Which is at once a relief and kind of a shame? Of course, who needs comedy when you have real life! Paul linked team SU&SD to the Kickstarter for CENTREPIECE over the weekend. I’m offering this without comment, but only because I have absolutely no idea what to say. Just… don’t only watch the video. Look at the text, the stretch goals, the backer updates. Trying to learn about CENTREPIECE is more fun than some board games I’ve played. We sincerely hope Mr. Muehlmeier meets his funding goal. 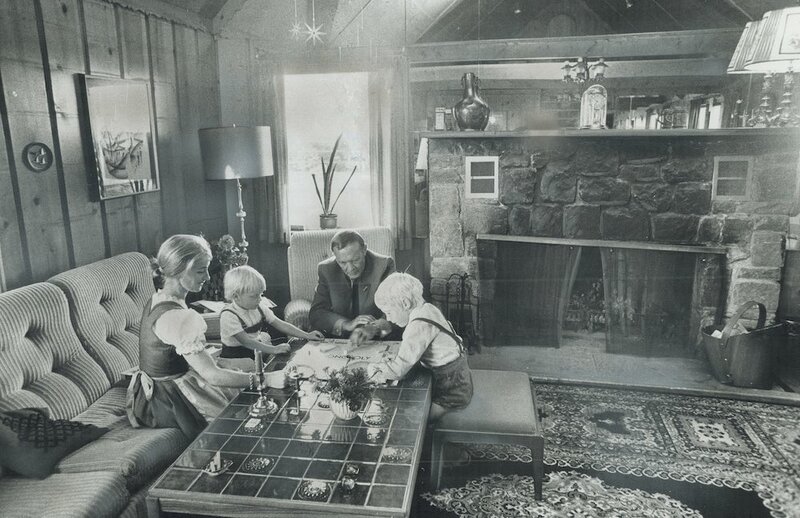 Moving on, here’s the story that any half-way sensible board game blog would have begun their news post with. 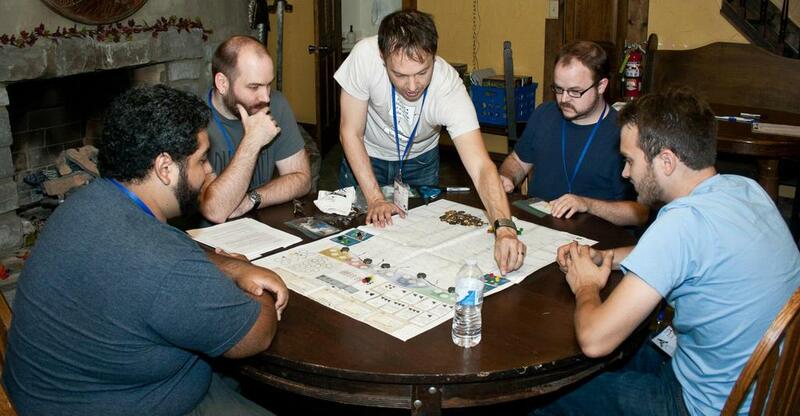 Plaid Hat Games has announced SeaFall: A Legacy Game (logo here, playtesting session seen above at the spectacular-sounding Con in the Castle). This is the next game in the series that began with Risk Legacy, a fantastic game SU&SD inexcusably has yet to cover. 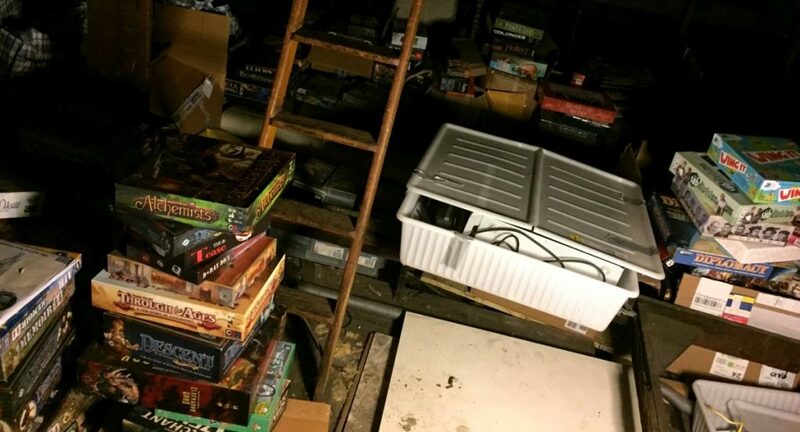 This is a reboot of Risk where, as a group of players advance through the campaign, new compartments of the box and packets of cards are unwrapped. The board is marked with signatures and stickets. Cities are founded, components are destroyed, and secrets are revealed with every play session. There’s just one problem with Risk Legacy. The legacy bit? It’s amazing. The Risk bit? Not so much. This is a strategy game that’s only capable of exciting people without much experience of the genre. Rob Daviau did a stellar job in dragging it into the 21st century, but it’s still the weakest part of the game. 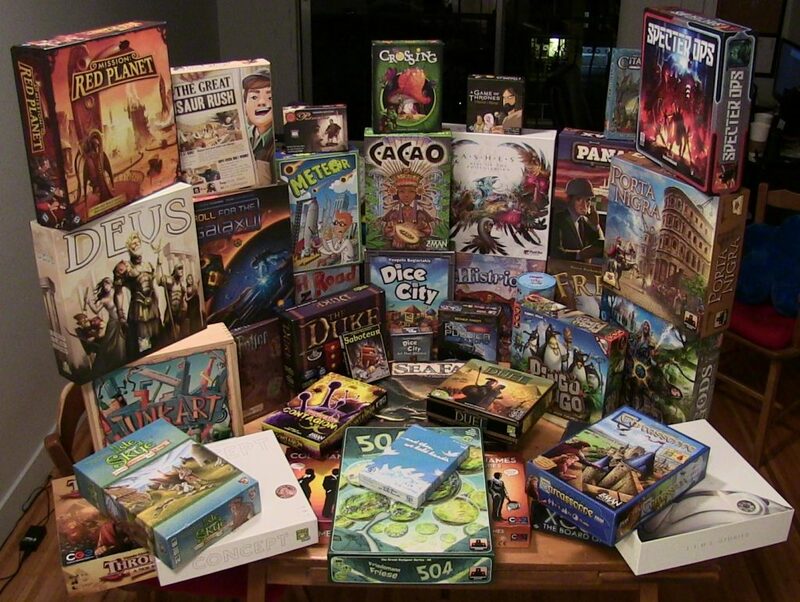 AND SO IT WAS that Shut Up & Sit Down declared that we’d be tremendously excited for whatever game took Risk Legacy’s ideas and applied them to a different, better game. Details on SeaFall are thin at the moment, but we know players will be discovering new islands, developing trade, sending out raiding parties and developing grudges as hard and complex as machinery. I, for one, absolutely cannot wait, and as soon as I’m done with the news Ill be listening to Plaid Hat’s podcast on the subject. 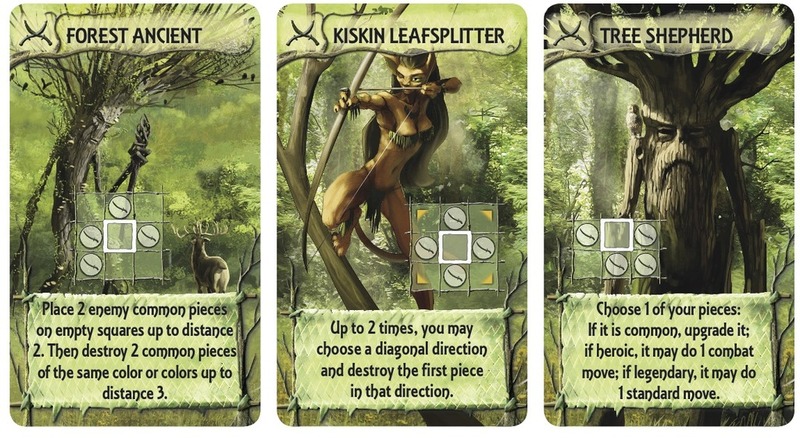 Fantasy Flight has posted a preview looking at some of the special characters in Blood Bound, their game of vampiric hidden roles which we first looked at in July. I’m in two minds about this one. On the one hand, a game where each team is trying to capture the other’s leader, but loses if they capture the wrong player sounds like a lot of fun. On the other, I’ve heard from SU&SD’s dual-classed programmer / thief Mike that he played Blood Bound at Gen Con and it was entirely terrible. On the third hand, Blood Bound sold out at that same Gen Con. On a fourth hand, I trust Mike like a brother. Guess we’ll have to wait and see, eh? Details are also emerging about Tash-Kalar: Arena of Legends, which is a relief because it was weird having a Vlaada Chvátil game we weren’t excited about. Now? I’m literally kind of excited! We knew Tash-Kalar was a game where players had to position their cards in a certain way to summon other, bigger cards, but now we’re actually seeing those cards, and the game’s starting to coalesce in my head. There are a load more images through the above link, including some of the comedically epic cards that will change the entire game. No, it doesn’t look like a Vlaada game just yet, but this is the gentleman behind Space Alert, Mage Knight and Pictomania. He’s earned the benefit of the doubt. 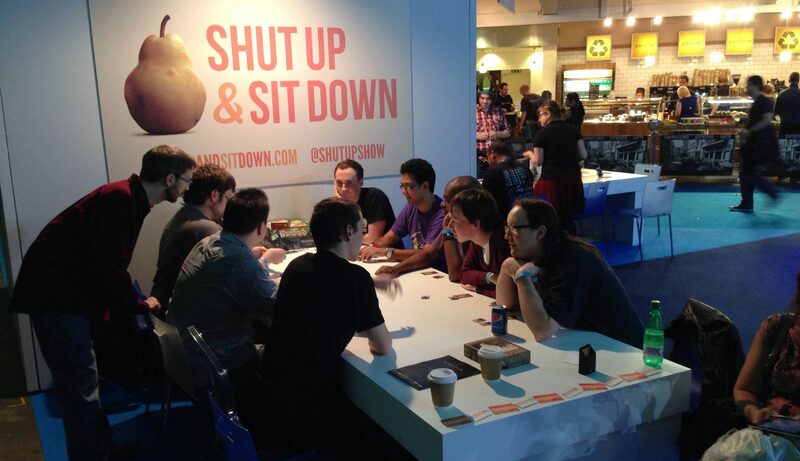 AND FINALLY, a huge, huge thank you to everybody who stopped by our booth at the Eurogamer Expo last week! I’ve never panicked about our choice of mascot more than when I saw Reference Pear blown up to two feet tall, but I shouldn’t have worried. SU&SD fans and people who were entirely unaware of table gaming were all drawn to our cheery table, and we’re now more sure than ever that The Resistance: Avalon, Mascarade, Pictomania, Ladies & Gentlemen and Skull & Roses are all incredible games. Each stood up to an exhaustive eight hours of play time. But honestly, if you did stop by, it was you who made our booth as lovely as it was. Oh, except the guy who played Netrunner with me and somehow beat me with my own deck. That guy? I’ve gotta tell you, he was a knob.